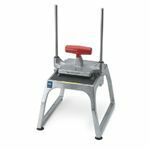 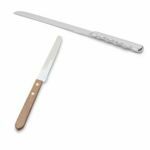 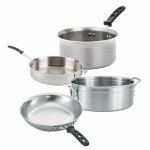 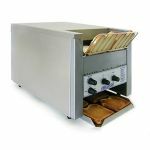 Vollrath's massive catalog of aluminum and stainless steel pots and pans, as well as their commercial mixers, slicers, griddles, ovens and other cooking equipment is available on RestaurantSupply.com. 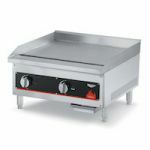 If you can boil, bake, saute, fry or steam in it, Vollrath has it. 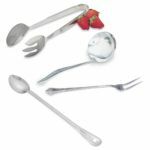 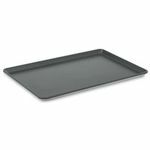 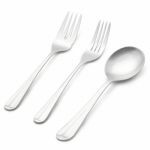 Vollrath even has food prep tools like measuring cups, whisks and strainers and serveware such as steam table pans, ladles, and portion servers. 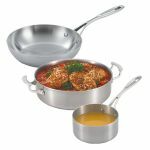 Vollrath 49418 Miramar Display Stir Fry Pan - Stainless Steel - 12" Diameter - 5 Qt.